It is a department that is now the third largest within the federal government, one with a budget of approximately $60 billion dollars, about one third of which is dedicated to boundary and immigration policing. 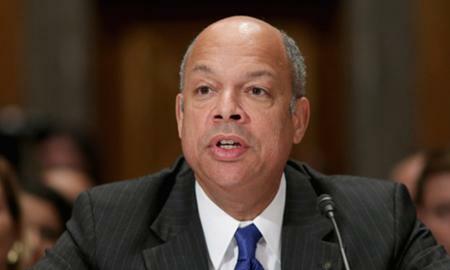 But his broader record provides little reason for hope for a more civil- and human-rights-sensitive Department of Homeland Security. As Medea Benjamin of CodePink and author of Drone Warfare: Killing by Remote Control reminds us, Johnson has defended the NSA’s invasive surveillance program and championed the criminal prosecution of Chelsea Manning and Edward Snowden. He has also voiced hawkish views on U.S. drone strikes abroad, going so far as to defend the assassination of U.S. citizens overseas in a February 2012 speech at Yale Law School. In addition, Johnson is not immune from making wildly twisted characterizations to suit his narrow ideological goals. As pointed out by Bruce Dixon of the Black Agenda Report, Johnson had the gumption to assert that Martin Luther King–the same man who in 1967 called the U.S. government “the greatest purveyor of violence in the world today” and spoke of the need to combat “the giant triplets of racism, extreme materialism, and militarism”—would have supported the U.S. war in Afghanistan as he “would recognize that we live in a complicated world.” At the same January 2011 Pentagon commemoration of the civil rights icon, Johnson likened the U.S. military’s present-day activities overseas to the work of the Good Samaritan of biblical fame. 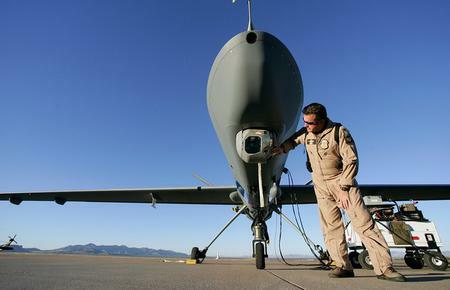 Given such intellectual acrobatics, it’s not hard to imagine Johnson CBP Predator drone in Arizona, 2007. Credit: Ross D. Franklin/Associated Press/New York Times. soon saying that the U.S. Border Patrol does the work of Gandhi or St. Francis of Assisi as a way of justifying a ratcheting up of the tools of violence in the policing of the U.S.-Mexico borderlands. In other words, all options are open. This is the agency that Jeh (pronounced “Jay”) Johnson now heads; this is why what is desperately needed is not a new boss, but a radically different system.